Win a QuickPick exactor box ticket for race two if you’re one of the first 10 people (18+) to report to the tarmac when the Exactor Factor of the day is announced. Maybe it’s green socks and red hair – or red socks and green hair!? Complete your program ballot and pick your favourite horse in race six. One cheerleader is randomly drawn per horse. 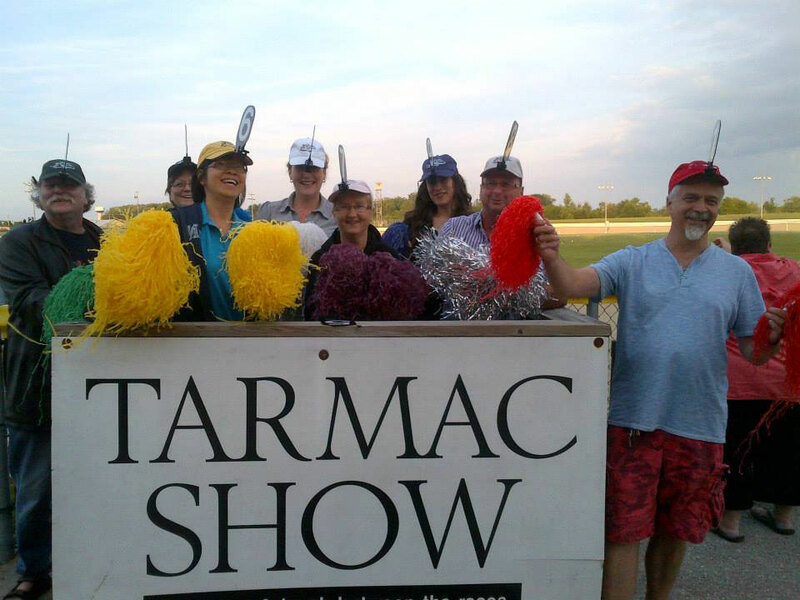 If we call your name, we’ll suit you up with Grand River Raceway gear, toss you the pom-poms and watch you cheer up a storm! The winning cheerleader receives a $50 betting voucher (18+). 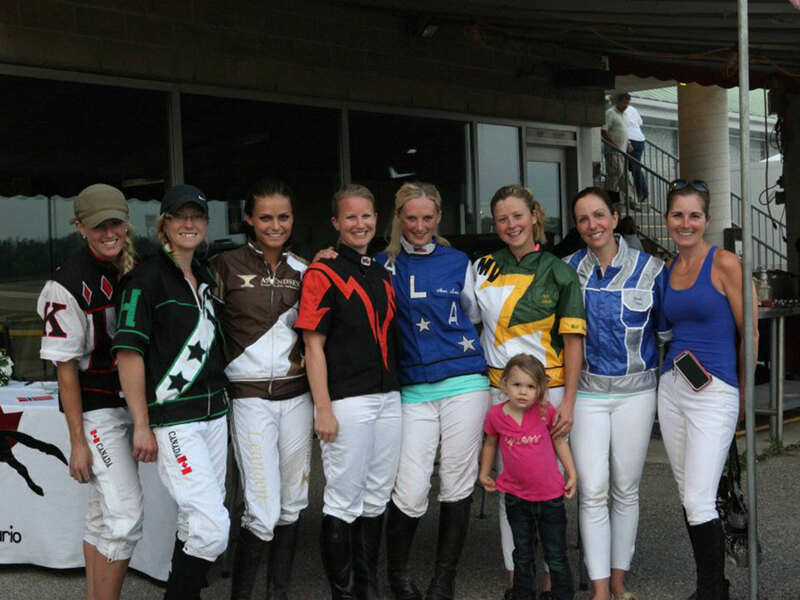 We’ve awarded OVER $15,000 TO GRAND RIVER RACEWAY CHEERLEADERS! 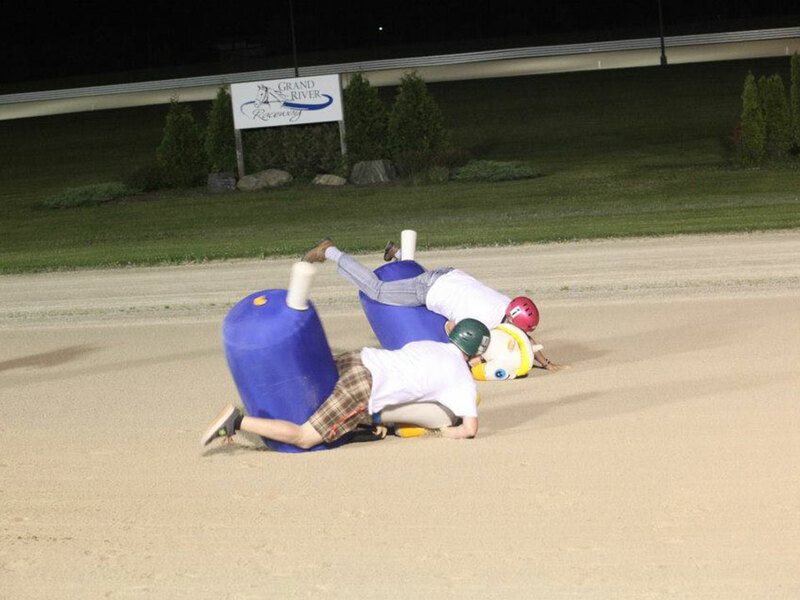 Hey smarty-pants, win great Grand River Raceway swag, gift certificates and tickets to local attractions with our nightly barrage of horse-related and generic trivia. Put the Smartphone away … Googlers are sent to muck stalls in the backstretch! You want rock? DAVE FM has your rock! 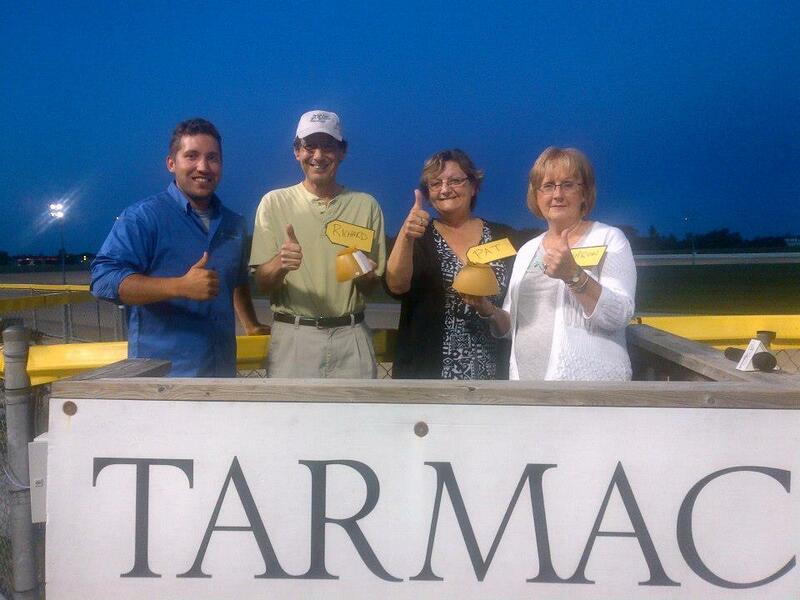 And now they have it at Grand River Raceway, every Friday night, all summer long! 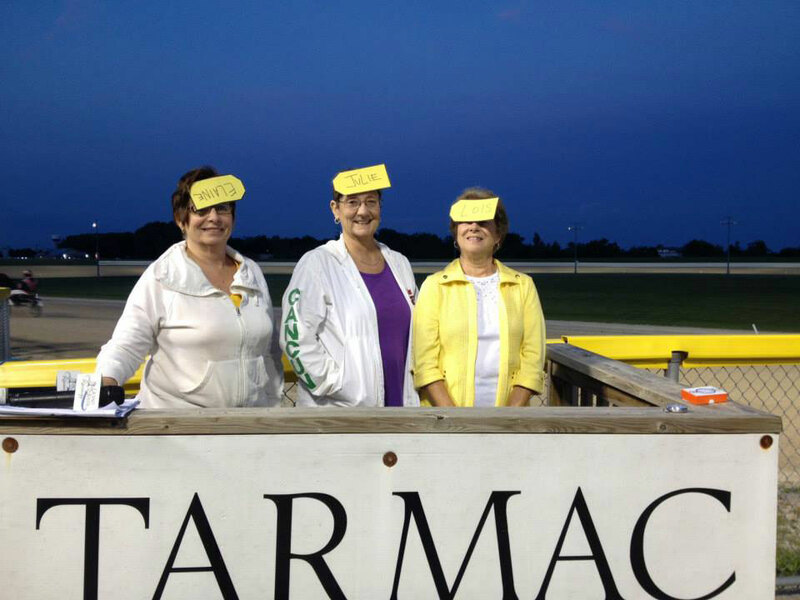 Three patrons face-off on the Tarmac Show for the $10 grand prize. Brush up on your knowledge of the retail price of horsey things and you’ll be flyin’ high! 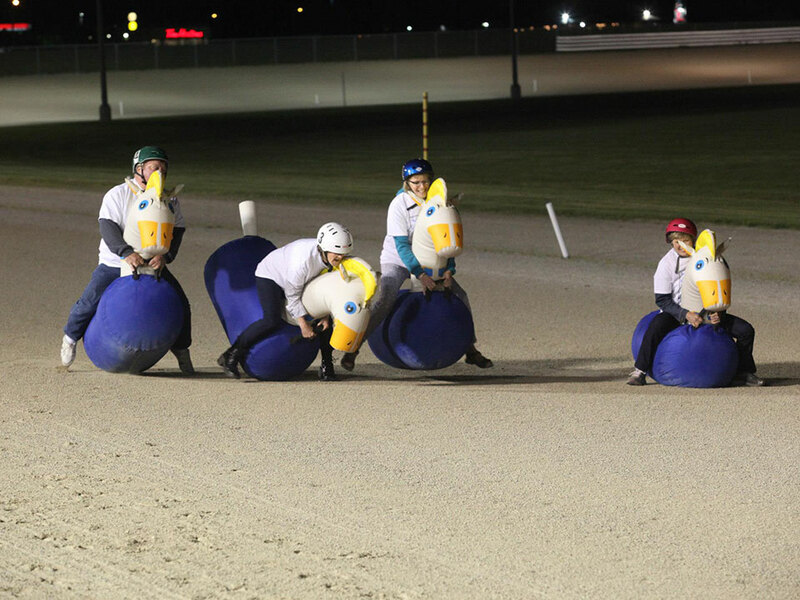 Fun & frivolity abounds with the Bouncy Pony Stakes! It’s inflatable mayhem as four patrons drive our stable of world champion inflatable steeds: Bouncestreos, Airpaches Fame, Airedmirals Express and the richest Bouncy Pony of all-time, the great Gallo Bounce Chip. The winning driver earns a $25 betting voucher (18+).